Oh, wow! I never would have picked that up from the tube, but it’s SO pretty! Me likey. It’s a gorgeous colour! 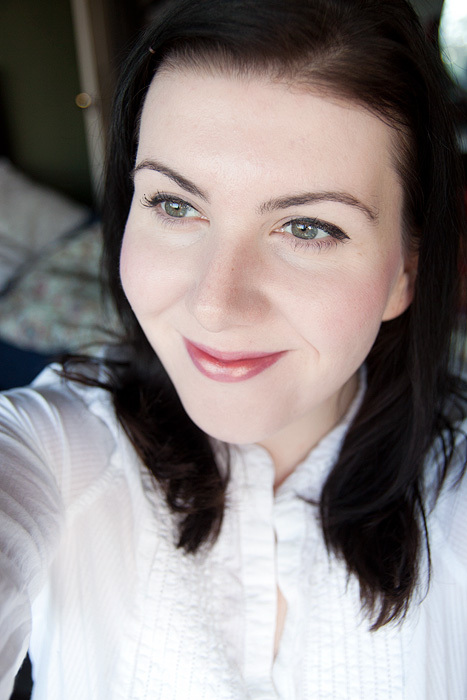 I like to wear it when I’m paler. Just ordered! 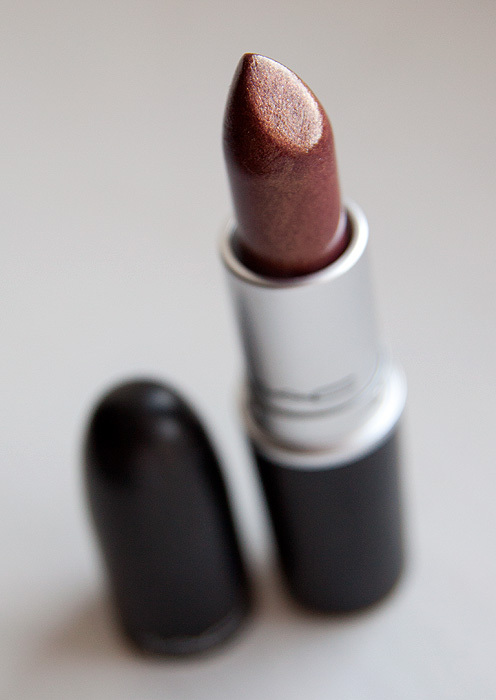 I loved this on Temptalia but I was too chicken to buy it from MAC when I had the chance. So glad I went for it in the end Thank you! I’m really curious how this measures up against NARS’s Petit Monstre. 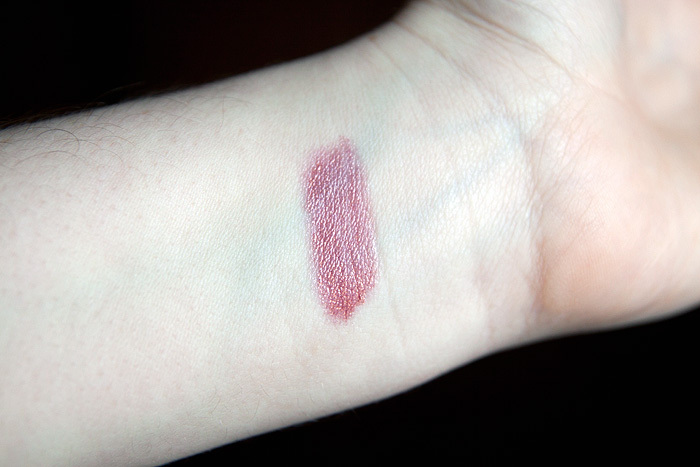 Just judging by your swatches, this appears to be a bit lighter and warmer of a berry hue underneath the gold shimmer. That shade really suits you – and it’s quite unusual which is nice. Your brows are looking great btw! Oooh lovely, that gold shimmer is so so pretty! Wow…that is really pretty! I haven’t bought anything from MAC in quite awhile though. I’m sick of their 6 million LE collections every year. I don’t like to have to compete with people and change my schedule to try and buy makeup. But this color is really nice and looks good on you! I’m so glad you posted a picture of yourself wearing it, the swatch and the final application look a bit different to my eyes! I love it! That color is just gorgeous. Judging by the color in the tube, I’d never have guessed just how beautiful it is on. Thanks for sharing these pics! That’s gorgeous! I like lustres too, though my all time lustre fav is Sweet Thing. Oh, lovely! It really is a changer, isn’t it? And your hair is amazing; you make me want to ditch the auburn for a rich brown again. That’s really nice and lovely!